Tesco has unveiled its hotly anticipated campaign, the first significant work since former marketer Dave Lewis took the helm and appointed a new brand team to turn around the grocers' dented reputation. 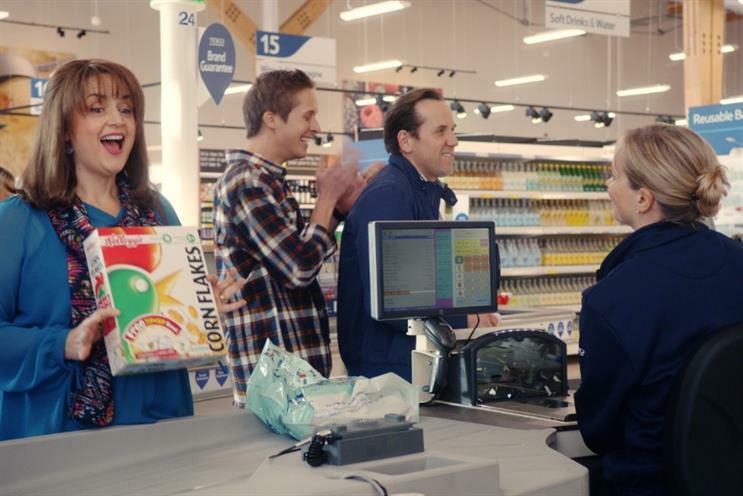 The first TV ad, which will promote the retailer's new Brand Guarantee scheme, will break on Sunday and feature a new family dynamic with three characters playing a mum, dad and 20-year-old son, played by Ruth Jones, Ben Miller and "up and coming" actor Will Close. 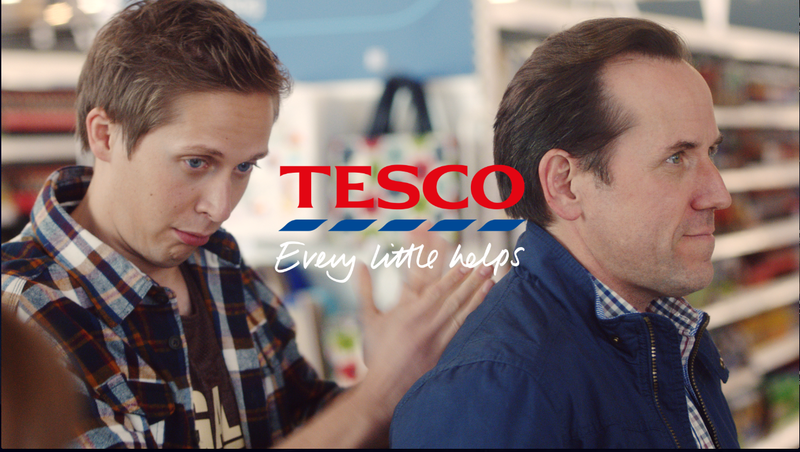 The ads, which will be followed by a "Christmas themed" execution later in the year, kick start a new strategy for the retailer that has been in development since BBH was appointed as Tesco's agency without a pitch in January. The ads will feature throughout the year into the future, not just at seasonal moments. Senior sources told Marketing earlier this month that the brand would take the retailer back to its roots with work inspired by the highly successful Dotty campaign series of the 90s but with new characters that would better resonate with today’s consumer. The characters in the campaign represent a modern family, with "sexual chemistry" between the parents and banter between the father and son, Freddie, who represents a 'boomerang' child back living with parents in his 20s. Michelle McEttrick said the new brand strategy aimed to bring to life its "serving shoppers a little better every day" mantra and re-establish the "Every Little Helps" strapline whilst bringing the tone of voice in line with "where we think it was great in the past, and where we think it needs to be great moving forward." The brand strategy had been planned from the "inside-out" with the company focussed on improving the in-store experience, availability, range and customer service first, she explained. It had also executed more real-time tactical ads including print ads after Great British Bake Off , highlighting ingredients to show the brand as helpful and on the side of consumers. "Building the brand from the inside-out, it has to start with colleagues and the acknowledgment that... millions of customers every day are interacting with our brand. It should be the biggest brand advertisement that we have at our disposal, bigger than telly," she said. She added despite the retailer's high profile woes - including the accounting scandal, slipping sales and horsemeat - consumers had a "latent love" of the brand. "Every time someone complains about you, you know they want you to meet their expectations, so I feel the changes we’ve made have really started to improve the way customers are viewing the brand." CEO Dave Lewis had been a "tremendous support" she said, adding it was "a brand director’s dream come true to have a CEO who is so focused on the value that the brand can bring to the business." Caroline Pay, deputy creative director at BBH added that developing characters with a modern British family dynamic would allow Tesco to have a "proper sense of humour." "Tesco has permission to be funny. When Tesco is at its best it makes everybody laugh and I think the British public want to feel good about [the brand] again, and having spoken to customers and colleagues they are ready for this type of work."